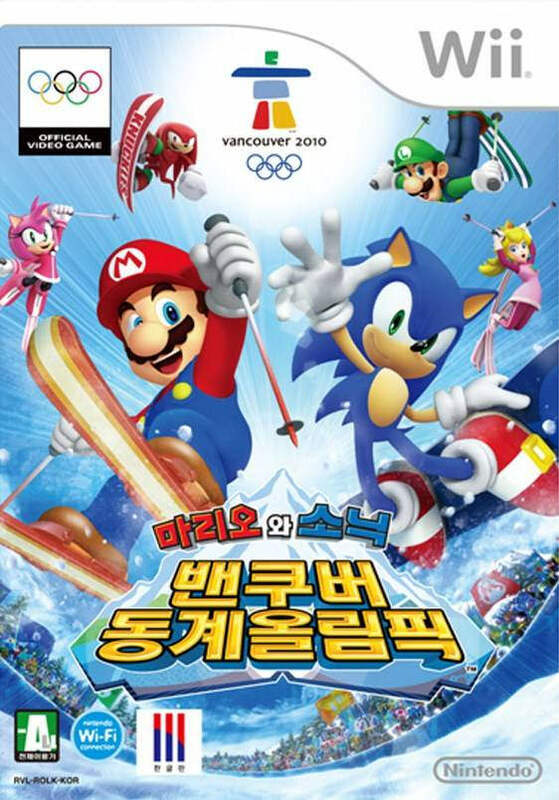 Whenever someone yells “MARIO AND SONIC AT THE OLYMPIC WINTER GAMES” you can’t help but get very nostalgic. I rented this game a long time ago and had quite a lot of fun with it. While the games are more limited than in the first one, it has improved in every other area. This title feels like the high budget Olympics game that we had been waiting for and the soundtrack is certainly one of the all time greats. My main character that I use in this game is Shadow of course but there is a solid roster of other characters to use as well. Unlike the last one, this Olympics actually has a story mode of sorts. Essentially you have to play in the Olympics to try and secure the gold trophy. To do this you will have to prove that you are a well rounded athlete who can excel in many different events. You play the Olympics one day at a time. At first there are 2 events per day and then 3 for the second half. You also get 2 break days to relax and go to the shop. It would be pretty sad to play the whole thing and then lose so the A.I isn’t too crazy. Not to mention that many of the events are training so you can’t actually lose. It’s a way to get free points and move up the ranks of you were beginning to lose. You still need to win most of them if you are going to succeed though. As I hinted at earlier though, most of the mini games are rather similar so you shouldn’t have a problem after you’ve gotten used to them. The best mini game is probably the Snowboard one. It’s very simple and straight to the point. You have to drive down a slope as fast as you possibly can. No gimmicks or anything like that, it’s just a pure bout of skill. You just can’t top it. There is a similar mini game where you are on Skis, but you have to utilize the motion controls more. It’s really the same thing but slower and with more stuff going on to distract you. Nothing wrong with that, but it just can’t compare to the style of the board. We’ve also got Ice Hockey which would usually be in first place but it’s really hard to move much at all without getting slammed by the other team. That part makes it tough to enjoy the game because you don’t actually get to be playing it much. Good concept though. The game that seems to be the main attraction in this game is the figure skating. You have to pull off moves with the utmost precision at just the right time of you want to get the maximum score. While defeating the computers can be pretty easy you will want to do your best if you’re fighting a human opponent. It’s not my favorite game since it’s very slow paced, but it’s not the worst either. The worst mini game is the one where you have to slide the discs across the floor. Many party games have this and I can never get any since it has never been good. The very concept ensures that it won’t be good if you ask me since it is a very slow paced game by nature. I’m sure it has its fans, but I am not one of them. There are also some mini games called dream events which have items included and can get quite chaotic. The Snowball fight game is probably the most memorable one and it’s definitely a lot of fun. Your teammates may actively sabotage you as they get blasted, but it’s a pretty balanced game in that respect. Who doesn’t like a good snowball fight right? Another monk game has a glider where you have to fly and catch rings as you make it to the end. Naturally you’ll want to aim for small rings for maximum rings, but your opponents may have the same idea which will make things tricky. After a while you will probably grow bored of the snow theme, but at least you can basically say that the game tries out every possible idea. Some mini games may seem like slight rehashes of each other but at least do have things that make them unique. Other party titles just make all of the games the same and don’t even attempt to hide it. The presentation of the game as a whole is quite impressive. From the main menus to the shops and the levels, this game looks quite great. They spared no expense on the visuals. All of the character models are on point and the level designs are great as well. We even have a Challenger Approaching icon that is sort of like Super Smash which is pretty neat. It shows up before each boss battle and feels quite thematic. Then there is the soundtrack. It’s quite impressive as it takes many of the best Mario and Sonic themes and then throws them into the games/bosses. Listening to the Sonic Adventure themes is always nostalgic and naturally the Mario ones are good as well. I haven’t played the next Olympic installments yet, but I think it’s fair to say that they are going to have a very tough time surpassing this one. There’s a lot to do in this game so length is certainly not an issue. The main campaign isn’t very long but that’s only the tip of the iceberg as you try to earn enough money to buy everything. You can also go for new records in individual events as well as challenge friends in multiplayer. Multiplayer mode certainly adds a lot of replay value to the game. You really need this in any sport game and in particular, offline multiplayer is a must. Overall, it’s impressive just how much the series stepped it up with this installment. The game is just a lot nicer to play, listen, and look at. Boss battles was a real good addition and I like having a ceremonial story mode even if it is relatively small. It’s certainly better than nothing. The game’s only weakness is its limited amount of games, but at least the one that we do get are really fun which is certainly the important thing. I’d definitely recommend getting this game. While it may not be as unheard of as it used to be, a crossover with Sonic and Mario is always worth noting. This entry was posted in 7 Star Games, Game Reviews, Games, Reviews and tagged Daisy, Game Review, Luigi, Mario, Mario and Sonic at the Olympic Winter Games, Nintendo, Peach, Review, Sega, Shadow, Sonic, Sonic The Hedgehog, Sports, Video Game Review, Wii by dreager1. Bookmark the permalink.